Things are chugging along nicely here at Pulp Literature as we ramp up to the launch of our Kickstarter campaign next week. Content is falling into place, and our editing gears are clicking away. I need to keep reminding myself that I have creative content to provide as well. Here are some unfinished pencils of a piece I’m working on for our first issue. 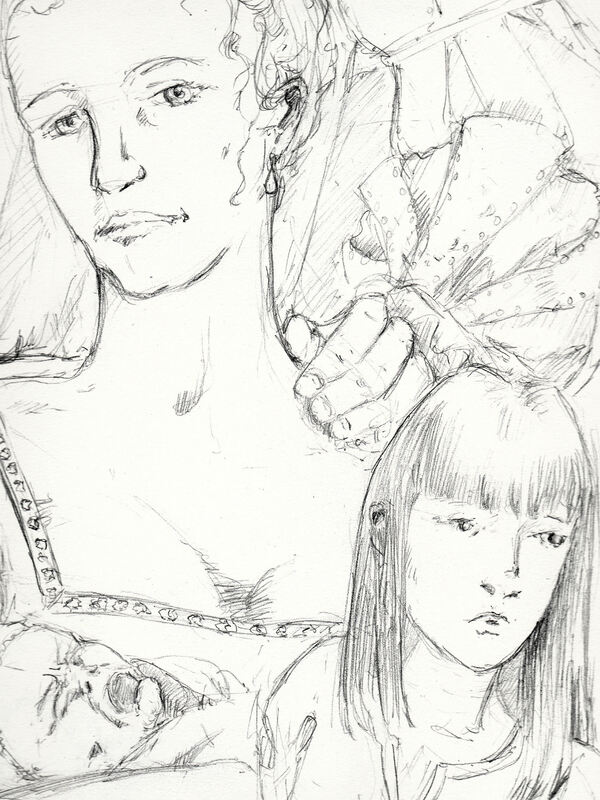 It’s a family portrait containing two of the three main characters in Allaigna’s Song: Allaigna and her mother, Lauresa. (Also pictured, the annoying baby brother, but we needn’t talk about him just now). The drawing has been sitting in its unfinished state for some time, and I’m finding it hard to touch a pen or brush to it. Partly it’s because I’m not entirely happy with the pencils yet. It is not just any illustration; it’s the opening scene of the story, and I want to get it right. But also, there is one part that is right — just right — and I’m a little bit nervous I might ruin it with ink. You sometimes hear writers talk about how characters take over, and begin writing themselves. Well, apparently it happens in sketches too. 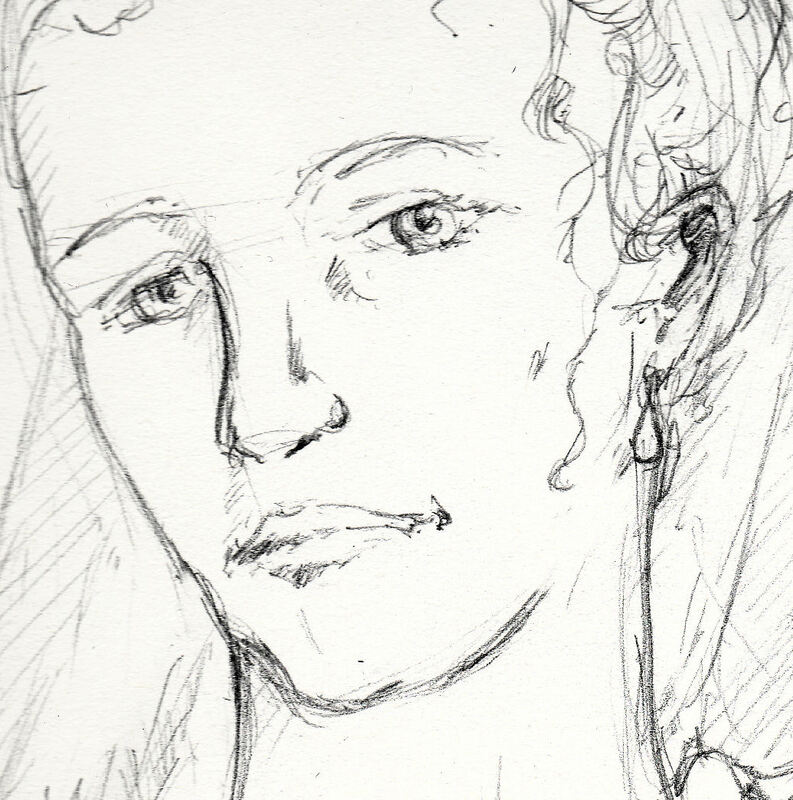 This is not how I imagined Lauresa when I wrote her, or even when I began to draw her; but she had other ideas. She was supposed to look more tired, harried, oppressed by post-partum blues and an unhappy marriage. Indeed, her right eye is withdrawn and weary. But the left — it pins the viewer. This is the eye of a woman who knows she is the matriarch. Her husband’s possessive hand on her shoulder is irrelevant, for it is she who calmly holds the future in her arms and challenges you to say otherwise. Thank you for the glimpse of your projects. How doI subscribe?